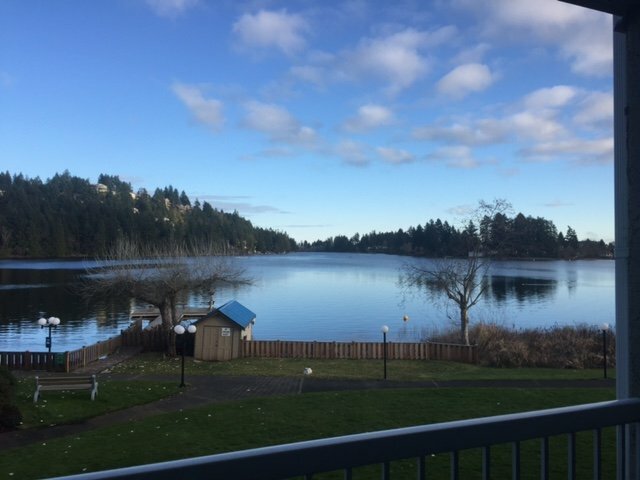 We spent Christmas at the Inn on Long Lake in Nanaimo, British Columbia while we visited Vancouver Island on Canada’s West Coast. 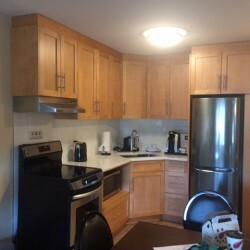 Three nights in our one bedroom suite and it felt like a home away form home. 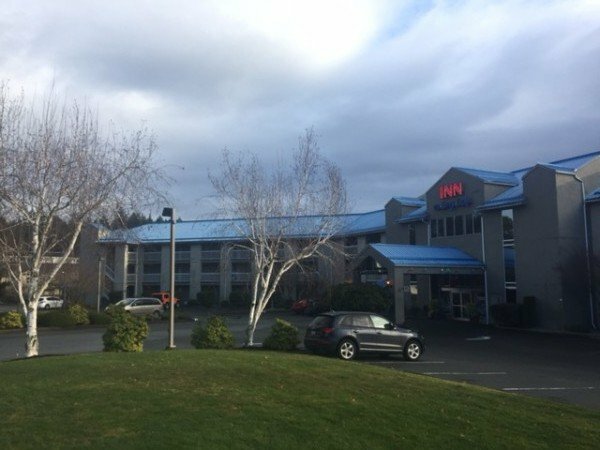 Modest in appearance from he outside, the Inn on Long Lake pleasantly surprised us and has all of the essentials for our Family Hotel Musts! 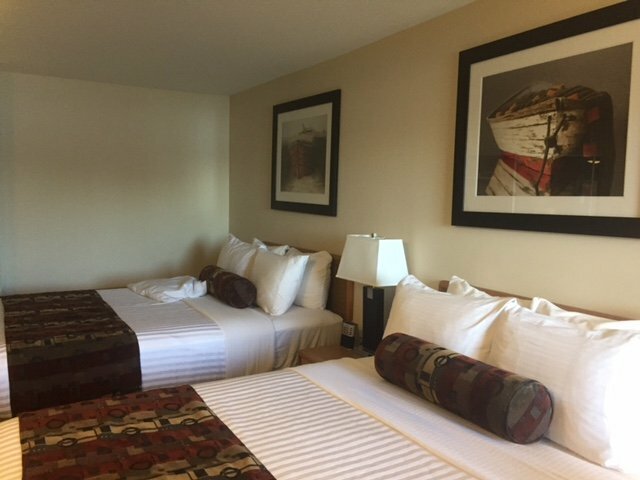 Its newly renovated rooms had top of the line fixtures in the bathroom and kitchen, flat screen tvs, gorgeous views of the lake, and were perfect for our family! 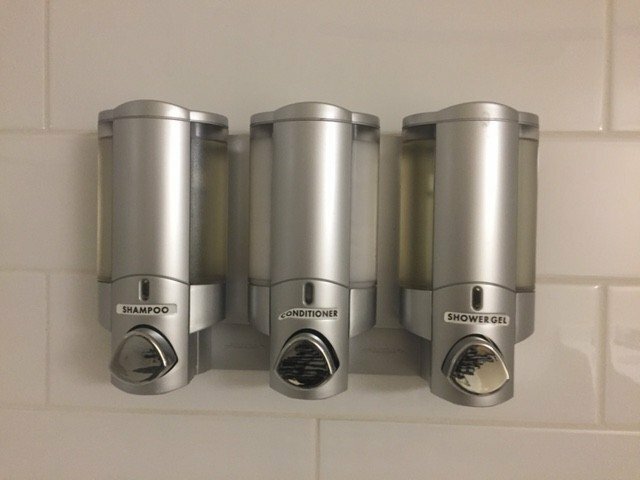 One of the things that I liked about the Inn, was their shampoo dispensers in the shower. Millions and Millions of the hotel sized shampoo bottles are thrown away annually. Having a dispenser in the shower cuts down on all of that waste. As Canadians we have grown up recycling and sorting our garbage. When we go to places that do not recycle, I often get from my five year old “But MOM, this is RECYCLABLE!” Every bit we can do to help is something we try to do! 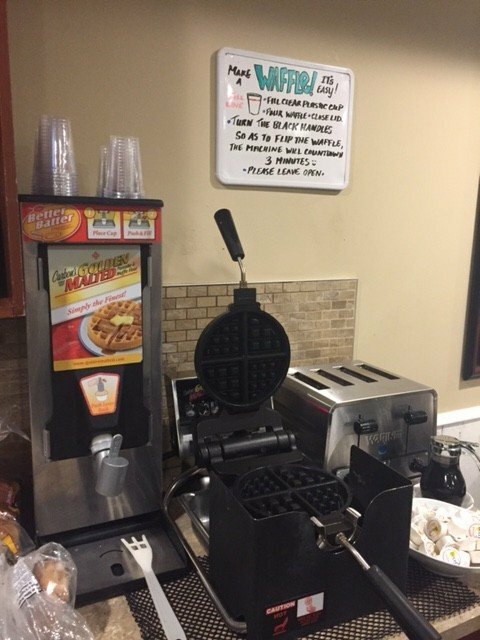 The staff was pleasant and attentive and despite having a full kitchen in our room, we enjoyed the continental breakfast each morning (especially the waffles!) 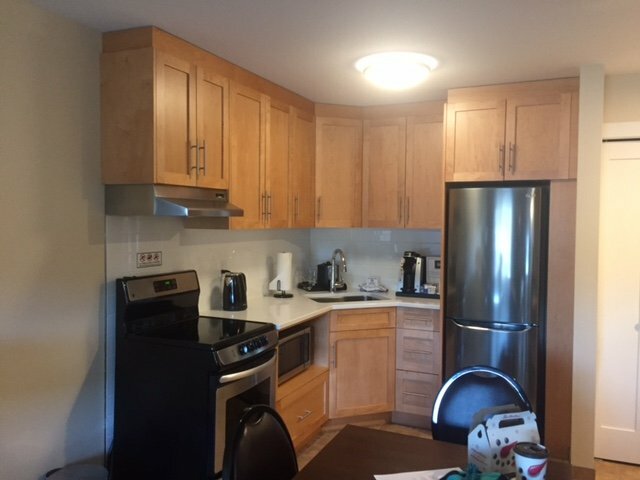 The property had lots of parking and was conveniently located right off the highway. 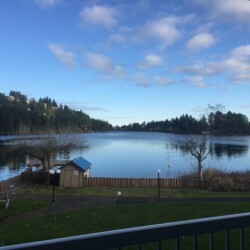 It is a great base to explore all of the great things to do in Nanaimo. 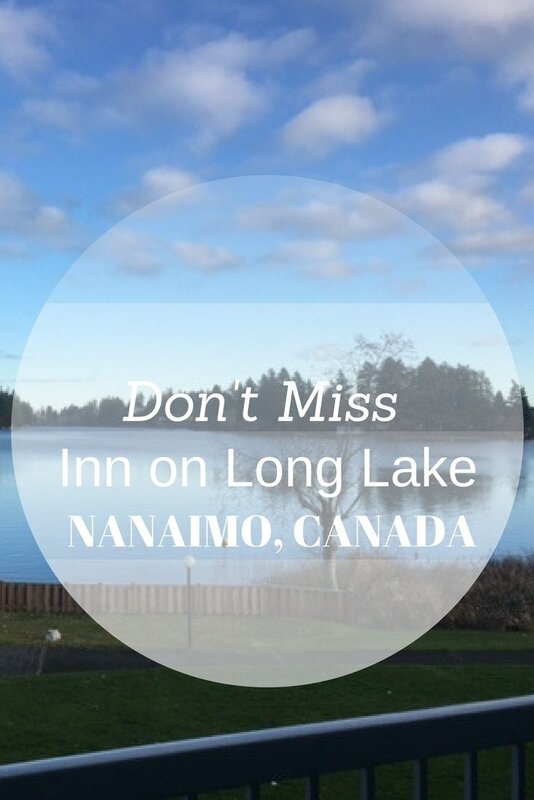 I would recommend the Inn on Long Lake anyone travelling through Vancouver Island! We hope to visit again in the summer and take advantage of all of the actives on the lake! 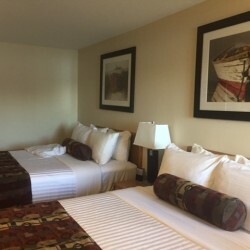 Our One Bedroom Suite was generous in size. 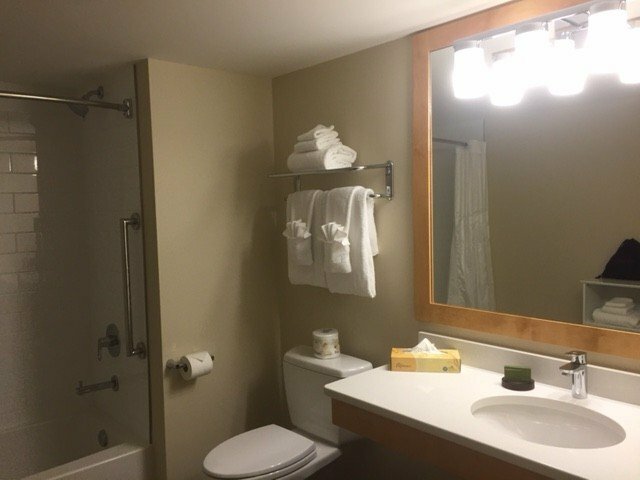 It had two queen beds, the en-suite bathroom had brand new high end fixtures, and a tub (having a bathtub is so much easier with little kids. 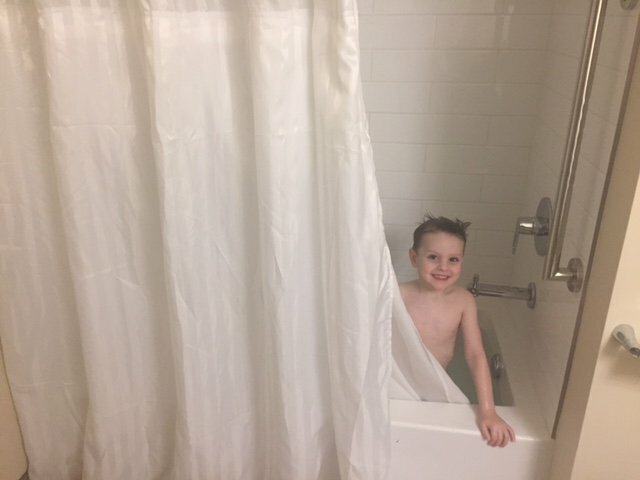 Not only does it serve our family as a way for the kids to play for half an hour, it is much easier to persuade them to take a bath over a shower! 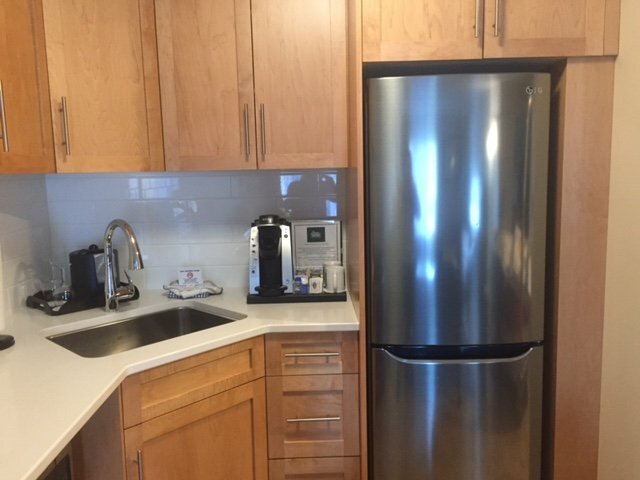 ), the kitchen had an apartment size fridge and a stove with an oven and everything you would need to cook just about anything! The living area had a flat screen TV, plenty of room for the kids to play and a patio overlooking the lake! Morning Sunrise from our Patio! What a VIEW! 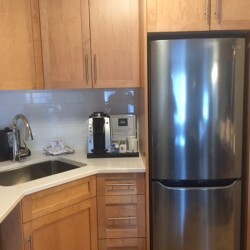 The Inn on Long Lake had large rooms with kitchenettes (including an oven), a fitness room with a hot tub, continental breakfast with yogourts, cereal, pastries, eggs, a waffle machine, fruit, juices and coffees. There is plenty of free parking on site, as well as outdoor BBQ’s and a patio in each room. Free WiFi is also available in each room. 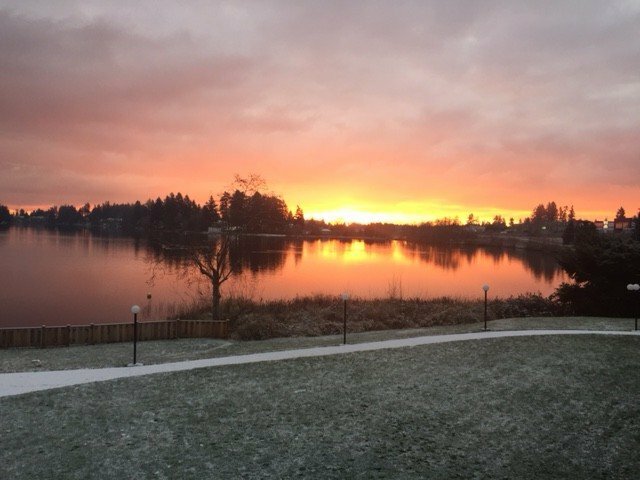 Waking up to the sun rising over the lake was as beautiful as you can imagine. You can hover over this pinnable image of the Inn on Long Lake Review (or any image on my site) to quickly… pin it… !